The historic Golders Green Hippodrome, once home to the BBC Concert Orchestra, has been bought by an Islamic charity that will turn the building into a community centre. The north London theatre, once a receiving house for theatre and opera tours, has not been used for live entertainment since 2004 when the orchestra stopped performing there. It has since been used intermittently as a Christian centre. Notices regarding its sale, which appeared earlier this year, prompted concerns about the future of the grade II-listed building. 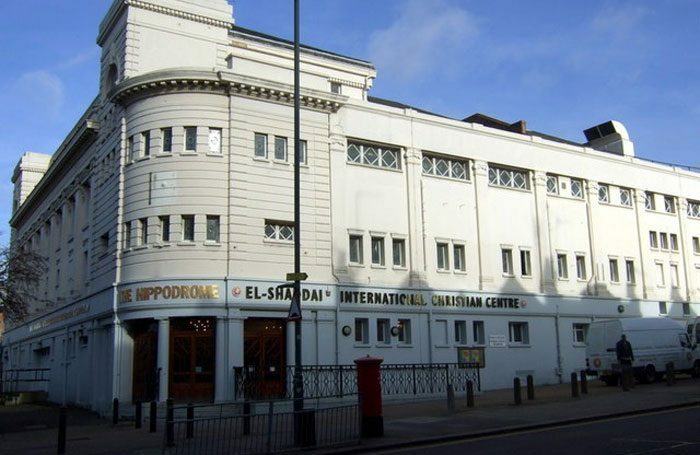 London-based charity the Centre for Islamic Enlightening has now bought the hippodrome at auction, for £5.2 million. The charity told local newspaper the Ham and High that it would be used to host conferences, seminars and community activities for Shia Muslims in north-west London. Theatre producer and local resident Simon Friend told The Stage that he had looked into buying the hippodrome, but said that the asking price and amount of work the building needed made it an unrealistic business venture. Friend added that he was pleased the building would be in use, but it was a “great shame” that the historic theatre would not be returning to its entertainment roots. The hippodrome, built as a music hall in 1913, has a long entertainment history, and has hosted theatre, pantomime and music over its century-long life. It was home to the BBC Concert Orchestra between 1969 and 2004, regularly hosting BBC Radio 2’s Friday Night Is Music Night, while Marlene Dietrich and Laurence Olivier are among figures that have performed on its stage during its history. The Theatres Trust’s Tom Stickland said of the sale: “Often the best way to preserve a building is for it to be in use and animated by owners who care for and protect it.